In October last year I was lucky enough to go back to Bolivia for the first time in 10 years. I have to confess it was a country I never imagined being able to go back to, so I jumped at the chance. This landlocked country is not the easiest place to get to and always seems to be added on to trips to other countries rather than visited as a destination in its own right. That is now changing due to the twice weekly flight on Air Europa into Santa Cruz. Bolivia has far more to offer than people realise. 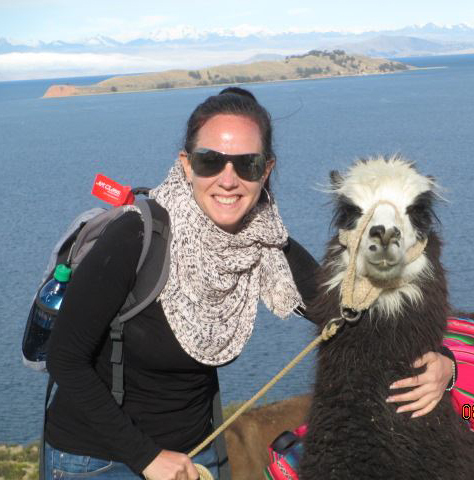 Of course, Lake Titicaca and the Salar de Uyuni are at the top of the list, but I discovered a whole lot more on this amazing trip. 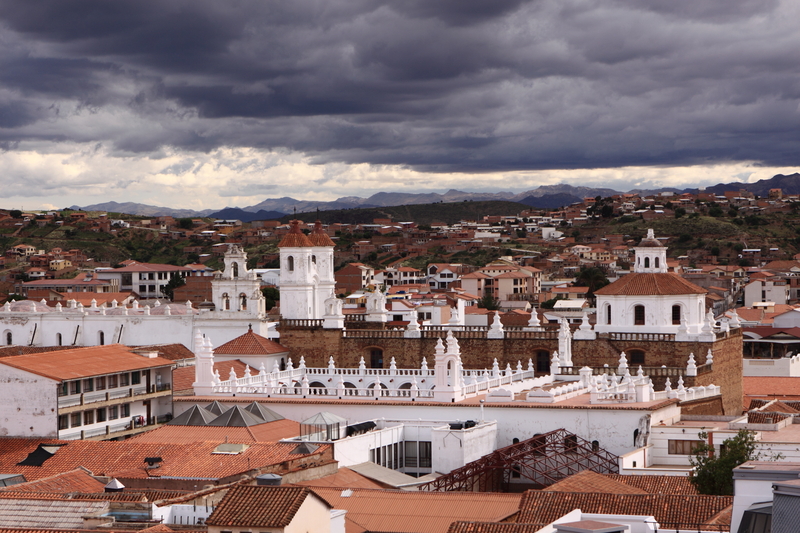 After arriving into and overnighting in Santa Cruz, Bolivia’s fastest growing and most modern city, we flew on to Sucre, the constitutional capital of Bolivia, also known as the White City due to the colour of its buildings. It’s surrounded by mountains so the air is fresh and clear and the views beautiful. Sucre was declared a UNESCO World Heritage Site in 1991 and it’s easy to see why – it has a lovely feel to it, and reminded me of places like Cusco and Oaxaca, with cobbled streets, Spanish influenced architecture and cosy little boutique hotels built around a flower filled inner courtyard. It also has a friendly and vibrant night life in the many quirky bars and restaurants. From Sucre we drove on to Potosi – the silver mining town 3 hours away, up at 4070m. This town has so much history! It was founded by Spaniards after discovering the Indian silver mines at Cerro Rico – the mountain that dominates the city. Over the years the silver has provided immense wealth to the area, as well as to Bolivia as a country. Recent times have however seen a decline in production due to depleted ore reserves, leading to some very hard times and mine closures. Today you can take trips to the few mines that are still working as part of co-operatives. They are quite bleak and it’s both fascinating and saddening to see where and how they work, but it’s their livelihood, they have no real other option. We all came away from there feeling quite moved by the experience. After Potosi, we continued by road for a further 3 hours to Uyuni, through the most stunning, unspoilt scenery, winding through the valleys and plateaus, past little villages, giant cacti and grazing llamas and vicuñas as the sun slowly set over the mountains. I had been to Uyuni on my previous trip, and it was just as stunning as I remembered. For me, it has to be one of the most unique and surreal places in the world – completely natural and so far, unspoilt. 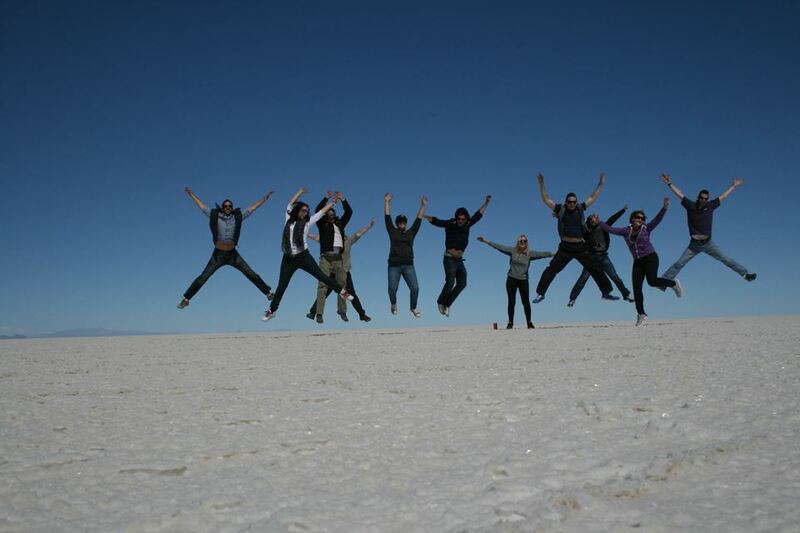 This time I was lucky enough to stay in two different salt hotels on the edge of the Salar de Uyuni. These properties are built completely of salt – walls, floor and tables (I checked this by licking them…) and have lovely local textiles and quirky shaped architecture. It’s an amazing experience to stay here, and nothing beats the view at breakfast looking out over the flat white stretch of the Salar as the sun rises. It was exhilarating to load up into our 4 x 4 jeeps and set off in a convoy across the salt flats, with the surreal white landscape playing tricks on your eyes. It’s difficult to see where the land meets the sky and in the dazzlingly clear sunshine, it’s even more breath taking. Wevisited the little salt mining town of Colchani to see how they refined the salt, and also saw the various accommodation options available for guests on and around the Salar other than a hotel, such as glamping in Jiririca, with the mountains behind you and vicuَñas and flamingos in front of you, or a brand new shiny silver fully equipped air-stream camper. 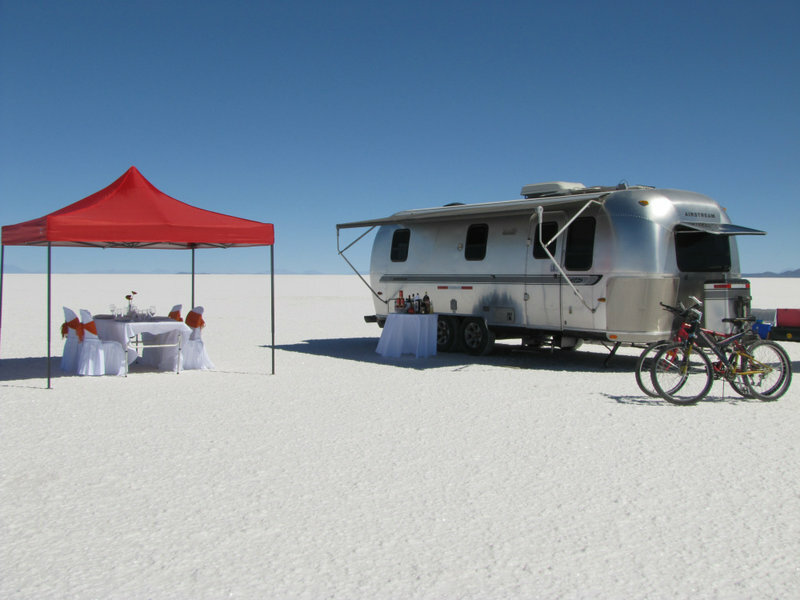 After a full day crossing the salt flats, taking in a visit to the Isla Del Pescado where giant cacti grow, we pulled up in the middle of the Salar where drinks, canapés and candles had been laid out for us. So we ended the day toasting the Salt flats wrapped in blankets as the sun set on the horizon. the Posada del Inca situated on the edge of a high outcrop on Sun Island. The posada has been part of the village for many years and is rustic yet cosy with friendly llamas to accompany you up the hill to the property. Add to this the spectacular views and it couldn’t get more perfect. Our final stop was the capital city of La Paz, the world’s highest capital city. I had last been here 10 years ago and it was still just as impressive driving down into the city from El Alto, seeing it glinting in the sunlight down in the valley. The top of the city lies at 3600m above sea level, and the lower more affluent areas at 3200m. We stayed in this part of the city – a good idea for new arrivals for easier acclimatisation. This part of the city houses the wealthier residents, so streets are tree lined and house large mansions behind guarded walls, boutiques and trendy bars and restaurants. Up in the main Centro of the city there is an eclectic mix of old government buildings and churches alongside modern office buildings. La Paz isn’t the most hi-tech of cities, but it has a real buzz to it and plenty of interesting sights such as the unusual offerings for sale at the Witches’ Market or the human zebras that guide pedestrians safely across the roads at traffic lights. As to be expected, the night life was Latino standard – excellent choices of restaurants followed by a very friendly and hot nightclub pumping out the latest Latino hits until turfing out time in the early hours of the morning. This was by far one of the best trips I have been on, not just because of the constant warm and friendly reception we had everywhere, but for the completely surreal pinch-me scenery and experiences you have on a holiday to Bolivia. Click for more information about our trips to Bolivia.